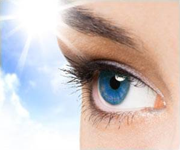 Home » Home » Supplements for Glaucoma » Is low vitamin-D associated with glaucoma? » Optimal Vitamin D Blood Level? Researchers are challenging the intake of vitamin D recommended by the National Academy of Sciences Institute of Medicine saying their Recommended Dietary Allowance for vitamin D underestimates the need by a factor of ten.